Pressure from President Bolsonaro led preferred shares to fall by 7.75 percent, making the company lose R$30 billion in market value in a single day. SÃO PAULO, BRAZIL – Oil giant, Petrobras, saw its shares plummet on Friday after the company announced it was cancelling a 5.7 percent diesel fuel price increase. Preferred shares fell by 7.75 percent, making the company lose R$30 billion in market value in a single day. 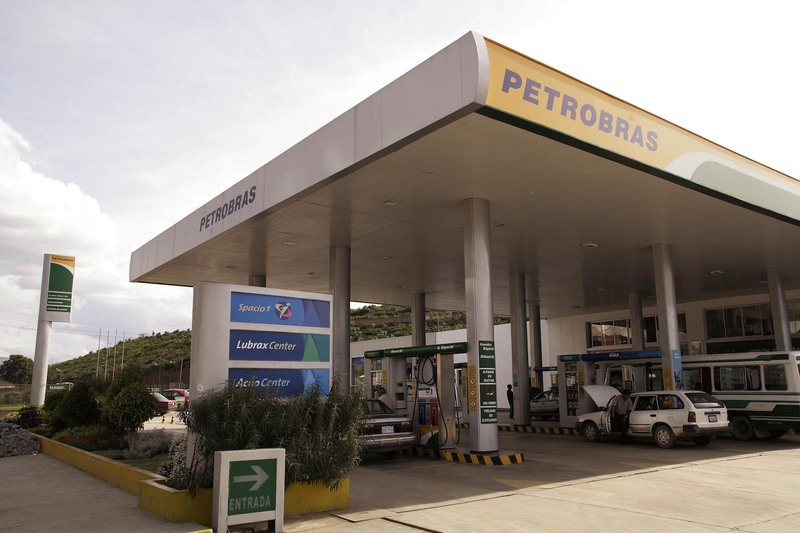 Petrobras dropped more than seven percent on Friday at São Paulo’s stock market with the decision to cancel fuel price hikes, photo courtesy of Petrobras. The decline in share prices not only caused turbulence in the economic realm, but also in the political one, since the decision to cancel the fuel price hike was taken after Petrobras’ CEO, Roberto Castello Branco received a telephone call from Brazil’s President, Jair Bolsonaro. According to Bolsonaro, who on Friday afternoon admitted to making the call, the request was for a lower price hike, of only one percent in diesel fuel prices. The government’s aim was to ease tension among truck drivers, who had started to talk about a possible second national strike. Castello Branco, however, decided to call off the price increase all together. The call also produced a negative impression on the political front, since the President’s actions represented a direct interference in the company’s decision, something incoherent with the economic liberalism defended by the Administration. “The president understands that Petrobras, a public company, subject to the rules of the market, should not suffer political interference in its management,” said Presidency spokesman, Otávio Rêgo Barros on Friday afternoon. “Here, the solution is going through more competition and privatization of Petrobras than the holding of prices,” said Congressional representative Vinicius Poit in his social media account. Friday afternoon, Bolsonaro was still trying to explain his actions. The President reiterated that the call was not ‘an intervention’ and his administration was not repeating practices ‘done in the past (administrations)’. The President has called for a meeting on Monday with key economic aides and Petrobras officials to talk about fuel prices. “I want Petrobras figures to clarify why the 5.7 percent of (price) readjustment, when this year’s inflation is projected to be less than five percent,” said Bolsonaro. “If they convince me, fine. If they do not convince me, we (administration) will give you the adequate answer, ” concluded the President. Bolsonaro’s actions in regards to price fluctuations at Petrobras goes against the liberal agenda of the country’s Economy Minister, Paulo Guedes. Guedes who is in Washington D.C. said he was unaware of what the President was planning to do and had no comment on Bolsonaro’s telephone call to Petrobras. Well he already had the nazi family values ideology – that’s what most important to him. After his trip to Israel and his comments that the nazis were also leftists, he himself went leftist on the economic front to become a full on nazi. mr Anon, it’s glaringly obvious that you know nothing of the history of Nazisim in Germany, Your comment in rhetorical diatribe based on opinion formed with limited knowledge. Do you see forced labor camps in Brasil? No, Do you see mass arrests of one section of the population? No. Has Brasil invaded a neighbouring country? No. Is Brasil building a mighty military force? No.